Today our HECUA study abroad group landed in Quito, Ecuador where we will be studying for the coming three and a half months. I can say with certainty that this semester will be one of the most memorable in my college experience. Being a visitor from abroad, I immediately fell in love with Quito (within the course of the plane landing and the first 45 minute car ride from the airport to my host family’s home); I have already seen beautiful architecture, a breathtaking landscape, and have met some wonderful people. Furthermore, I was lucky enough to have trouble sleeping this first night in Quito (which I attribute to my perpetually growing excitement), which turned out to be a blessing because I then had the opportunity to listen to some of the most incredible bird songs I have ever heard in my life. People often talk about the scenery of an area being beautiful, but photos cannot encompass Ecuador’s beauty. It is one thing to view a photo, it is another to be immersed in a culture. Trust me, the bird songs alone are worth a trip. Traveling abroad always brings about sensations that are difficult to replicate in the comfort of one’s own home. This became apparent to me in 2017 when I first stepped off of a plane into the Guatemala City airport. It is easy to become complacent in the comfort of one’s own daily life. However, this type of living does not expose one to many new experiences. When I stepped off the plane in Guatemala, I was in the minority of a population for the first time in my life. This feeling is unique. If you have had this same experience, I think you might know the sensation I am getting at. Suddenly, you are more aware; you realize that you are a visitor from abroad and are representing your own country, you are immediately stripped of the confidence you have been unknowingly taking for granted throughout your life, and you wonder what the citizens in this country would think of the people in your home country based off what they have seen on the news. This sensation is something that I believe everyone should experience at some point. I feel that it is impossible to create policies for those in the minority of a population if we have not ever felt what it is like to be in the minority population ourselves. It is not always comfortable. I can definitely see how one could feel inhibited from moving up the social ladder if there aren’t people from their same background in positions of prestige to model after. My experience at the Quito airport was warm and welcoming because of my wonderful host mom, Paty. In Guatemala, I did not have a clear path of travel from the airport, and this led to anxiety and discomfort. This time around, Paty was waiting for me in the front row holding a sign with my name on it. She also made sure to give me a great big smile and a hug. What an incredible act of selflessness, inviting someone to stay at your house for an entire semester and meeting them at the airport to make sure they understand that they are welcome in your home country. In a world filled with negative news, experiences like this create bridges of understanding and love between cultures rather than walls of division. I have realized that those in the majority of a population have the ability to make a huge difference in the lives of those who are in the minority. Currently, I feel like I can be very successful in my internship and classes this semester, based on nothing more than the loving hospitality of my host family. I look forward to a great semester. 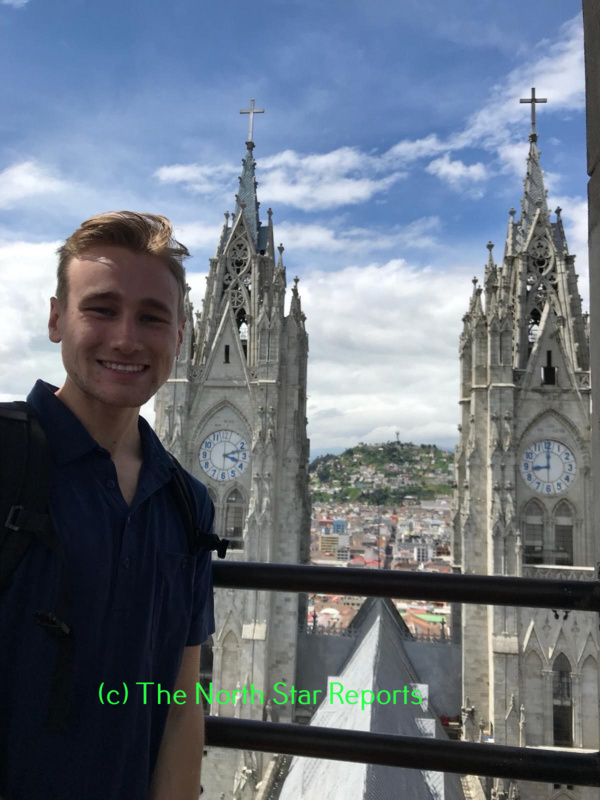 Dan is serving as The North Star Reports’ special correspondent in Ecuador this semester. I hope you are having an amazing time in Quito! Your pictures are so gorgeous, it makes me very jealous to know that your in such a sunny place right now. I love the part you touched on about becoming more aware in such a different setting. That is the thing that I absolutely love about traveling. Traveling makes a person step out of their comfort zone and learn things they never would just by sitting in a classroom. You will have the best time ever in Quito and I wish you safe travels! What an exciting beginning to your time in Ecuador. It sounds like you have great adventures and memories still awaiting you. I have also had the unique opportunity to feel like a minority, and agree that it makes you question if you take being a part of the majority group for granted. Now that you have been there for a few weeks, I’m curious to know how that feeling is now? Is to something you have come accustomed to, or is it still unfamiliar and uncomfortable? It is fascinating to think that there is such diversity of cultural or racial minority and majority groups when it is believed that Africa was likely the birthplace of all of humanity. What an incredible idea that humanity can change and evolve so much over time that we can look at another human and visually notice a difference. I appreciate your post and wish you the best of time for your remaining time in Ecuador. Thank you for sharing your experience. I spent a month in Germany the summer before last and I felt many of the same things you are now. Rather than just simply going on vacation, I stayed with a family. I was fully immersed in a culture that differed from my own. Language difference aside, I was surrounded by new information. I hope you have a wonderful rest of your semester! Thank you for sharing your story. I agree with you that traveling abroad is something that everyone should experience. I had the opportunity to travel to Costa Rica when I was in high school and it was one of the best experiences of my life. I not only felt more confident in feeling independent, but I had learned about the beautiful architecture, language, and culture that Costa Rica had to offer. I will also be traveling to Cernevacua Mexico and Norway this coming year. I think that studying abroad helps people grow in ways they did not think they could. Hope you enjoy Ecuador! Dan, thank you for taking the time to write this article while you are making such a huge transition! I hope the culture shock is not too strong. I think it is truly fantastic that your host mother was there to greet you at the airport and truly welcome you into your temporary home. As of yet, I have never traveled and had a long term host family, so I think I have missed out on that dynamic. I’ve also never been in a racial minority which is something vastly different than even a nationalistic minority, i.e. even in a foreign country in Europe, while I am often picked out as an American, I am still less likely to face any sort of discrimination or exoticization. Representing one’s country can have a certain amount of pressure associated with it, and while you are definitely doing that, as long as you are respectful of the new culture, you’re probably already setting a better example than what is seen in the media. Something I had to be conscious of in Germany is how loud we tend to be in the US, and that the volume of conversation has to be much lower—something I enjoy there because I am still being heard (in the US, I often feel ignored if I’m not commanding people’s attention). Are there particular mannerisms you’ve noticed so far that impact your normal interactions? It is also very cool that you were able to spend time enjoying the bird songs to acclimate yourself to your new home. Finding something to hold onto and appreciate is very important so that you don’t get homesick. I hope you have a fantastic semester and look forward to seeing more from you about your experience! Miss you in my classes and hope your semester is going great! Yes, in Quito we have to be aware of our level of conversation. For excursions we travel as a group of 14 and the size and noise level is daunting. The quietness of talking is one of the first things I noticed here and was told to expect from Latin America. That is not to say that my host family doesn’t get loud at the dinner table every night. I personally think the group is doing a decent job of being respectful in public spaces, but the noise level can get out of hand quickly, especially if the conversation is in English. I am trying my hardest to speak completely in Spanish, but it is often exhausting after a long day. Also, I am really enjoying public transportation on the bus system because it is always crowded and chaotic. I more so think the crowded interactions on the bus are just due to the large population of the cities and the inexpensiveness of public transportation instead of everyone owning a car. 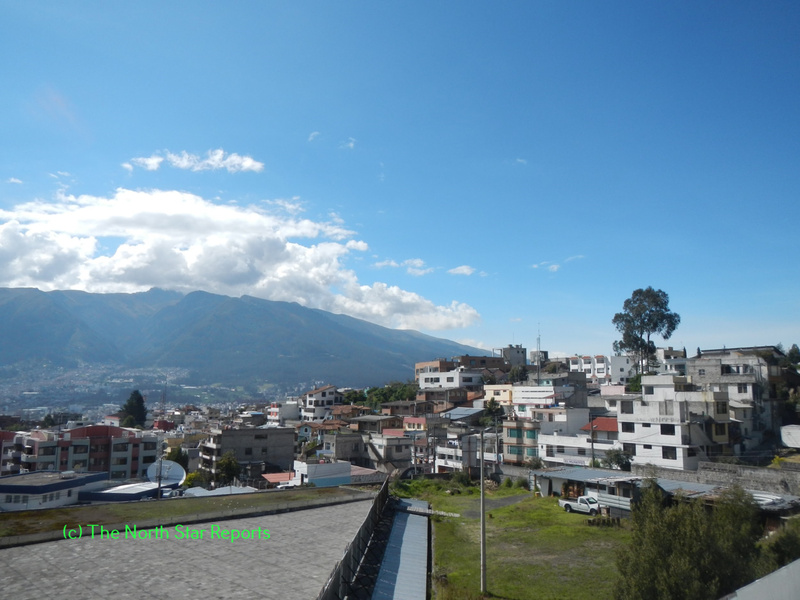 We are learning a lot about the culture and everyday life from our host families and I agree that it may be the most helpful part of the program to help us fit in here in Quito. My heart is warmed by the way you speak of Ecuador and your host family. I am happy to read that you are feeling confident. I, too, think people need to experience travel. I have only been as to the UK, so I have yet to really feel that culture shock, but even experiencing the diversity of London was awe-inspiring. I think you make a brilliant point when you say, “In a world filled with negative news, experiences like this create bridges of understanding and love between cultures rather than walls of division.” It is imperative that people take the time to understand one another, and your bridges vs. walls dualism. Building bridges is a lot of hard work, and a person has to put in significant effort to be successful – sometimes that amount/caliber of work inspires fear. That being said, a lot of times it can be easier to build a wall – the structure is more simple, and you don’t have to work quite so hard. I will close for now. Thank you for this article, Dan. Dan, what a wonderful opportunity you have been given to travel to Ecuador for a whole semester! I’ve always been interested in studying abroad and I get to do so for the first time this spring in Cuernavaca, Mexico. I am looking forward to being put in uncomfortable situations surrounding the fact that I, too, will be a minority there. “I feel that it is impossible to create policies for those in the minority of a population if we have not ever felt what it is like to be in the minority population ourselves. It is not always comfortable.” I really enjoy this quote because it really is important to realize the power we hold when we’re not minorities. It is important to put it into perspective while at home and while traveling. I hope you enjoy your semester abroad! I am glad you’re having such a great experience in Ecuador so far! It’s so nice that you are able to absorb and learn so much about Ecuador thought little things such as listening to the bird songs in the morning. I hope you continue to learn and compare your experiences to what you’re normally used to because I think a big part of studying abroad should be about appreciating other cultures and understanding the privilege that you have as well. Traveling abroad is such an exciting and mysterious adventure that much of the experience is taken for granted. Take in everything around you! As you become aware of your surroundings, their are socio-economic gaps that are increasingly frustrating. This is a connection that is often missed for US students studying abroad but is extremely valuable to translate back home. The gaps that I speak of are the smaller ones within a community. How specific families have different values of struggle and that certain hardships do not set back in the same way; essentially, practice empathy instead of sympathy. Enjoy your time in Ecuador Dan! i Hope you are living it up it Qutio, we miss you in RES life. It is a very thought provoking idea of giving up your comfort and becoming a minority because its a thought that has never crossed my mind. I think you are right the only way to understand this feeling is to put yourself it that situation. I’m sure a persons mind could get consumed with what other peoples perceived ideas are. I would like to know if you have received any discrimination or any rude behavior because of where you come from? I am so jealous that you are studying abroad in Quito! I am sorry you did not have the best experience in Guatemala. The airport there can be quite confusing and disorienting, but after the airport, the atmosphere can’t be beat! I am so glad your first experience in Quito has been a good one. That definitely helps with the culture shock. I hope you have a fantastic time in Quito, and I hope you post more about your experiences! I thoroughly enjoyed reading this article. My Sophomore year of Highschool I spent a semester in Cusco, Peru and I would not trade that experience for anything. The amazing things you get to see being immersed in another culture our memories to cherish for a long time. I am also planning on going to Ecuador next year, so I am very much looking forward to getting to see this lovely scenery you are depicting so well with your words. I definitely agree that the group here has become very aware of there “American-ness” there are 14 of us total and 13 of us are American. It can be difficult to move around as one group because we often stand out. I have also found in smaller groups that even if I am speaking Spanish people just assume I can speak English. I think it is a weird and eye opening experience to be in the minority and I feel like we are adjusting well to the occasional staring on the street. I also agree that it is helping us adjust by living with host families because every day I feel less and less like a tourist, except for on occasion when the group decides to travel together. See you soon and great insights! 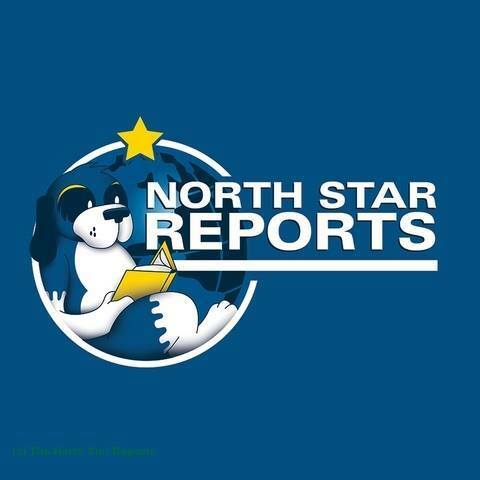 I enjoyed reading the article and hearing about your endeavors around the world! I have only traveled to Mexico for a spring break trip, so nothing compared to your study abroad program. I find it fascinating to learn about other countries and cultures. I’m sure the bird songs there are unimaginable, nature is truly beautiful and breathtaking. It amazes me how some people can be so welcoming and kind while others can be so displeasing and cruel. I’m glad that your experience in Ecuador went so smoothly and it was directly correlated to your host mom. Having someone be so welcoming and gracious to you is one of the best feelings anyone can have. It’s nice to see that there are still people out there that are so compassionate towards other people and their differing cultures. It reminds me of a sentence in my history book, “The Vedas promoted cultural unity and pride through common rituals and support” (Tignor, 2018, pg.147). Just being a genuine person will set you on the right path to being culturally responsive and creating cultural unity. 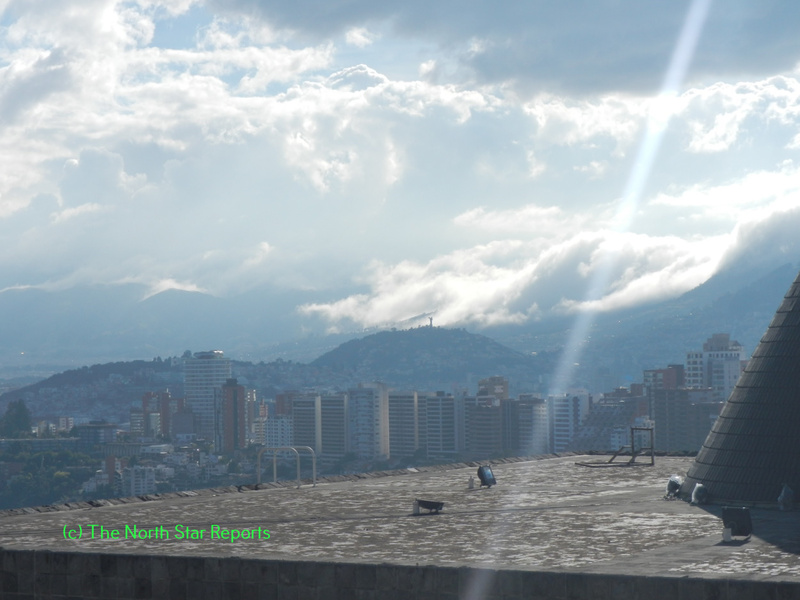 I loved reading about your experience in Ecuador! I hope all is going well for you there. I know exactly what you mean about being the minority in a culture and how that can be a unique experience. I had the wonderful opportunity to spend part of my nursing capstone in the Philippines. This was truly an experience that I felt out of my American comfort zone at times. I like how you talk about the hospitality of the people. This is something that really makes you feel comfortable there. Thinking about hospitality, it reminded me of a passage in my history book. The Vedic people promoted unity among each other (Tignor, et al., p 147). I feel like they also strived to be hospitable as well. Your experience sounds wonderful. I love that you took time to focus on the simplistic beauty of the surrounding areas. I was able to experience a similar situation and to be part of the minority population during my recent trip to the Philippines for my nursing capstone. Being in another country and being submerged in their culture truly takes a person out of their comfort zone and allows them to see the world through new open eyes. I completely agree with you in that being in another country strips a person of their confidence that they did not know they had in their own country. In the book we are are reading titled “Worlds Together Worlds Apart” it is stated that in history the Vedic people practiced cultural unity and pride through the use of rituals (Tignor et al., 2018, p.147). Traveling to another country and being open to their traditions and rituals allows for cultural unity and learning from each other. Sounds like you will be having a lovely semester abroad and I am glad that you get to have this experience. I have also felt that sudden culture shock and fear as you realize that you are now the minority in this country. Especially in places where people speak little English, it can be extremely intimidating. It is important to recognize this fear and use it to grow rather than shrink back. I am reading the textbook “Worlds Together, Worlds Apart” and there is a nomadic civilization that is a prevalent topic in many of the chapters. These nomads were extremely adaptable to new civilizations and interacted with numerous populations (Tignor et al., 2018. p. 226). Although back then there was violence, I would like to follow in their footsteps of adaptability the next time I travel. To truly immerse myself into the culture would be such a privilege. I am glad you are enjoying your time in Quito. It is a truly breathtaking and one of a kind experience, and Paty is such a kind soul. What an amazing opportunity to learn in such an incredible country while spending time with and meeting such awesome people! The culture shock is so drastic when you first land, and I personally felt the culture shock even worse when I returned from Ecuador. It is so interesting that when you get so involved and integrated in a culture that when you return to your own life it feels a little strange. One thing I was not entirely prepared for in Ecuador was the huge religious impact on the culture. It made me think of a quote from our Tignor history book that said “Blessed are you poor, for yours is the kingdom of God.” It reminded me of a lot of things that I read and saw in many parts of Quito, and I am sure you have seen many of the same things. Thank you so much for sharing, and enjoy the rest of your time abroad! Thank you so much for sharing your experience. I can relate to the feeling you described when landing in a different country. I recently studied abroad in Morocco for about 3 weeks. It was a life changing experience to be so immersed in a different culture. I would recommend it to anyone for any length of time, it is such a great learning experience that you can’t get from a classroom. I think going with an open mind and accepting the people’s cultures and traditions and being respectful to that as being an outsider is very important. This makes me think of how Tignor in World’s Together, World’s Apart, describes the nomadic pastoral people who are very mindful in their ways of accepting others cultures as well as teaching their own. Thank you for sharing your experience! That is awesome you are studying abroad. I agree that everyone should experience what it is like to be the minority at some point in their life. Many people do not realize the struggles minorities sometimes face. Tignor et. al discusses many different cultures and shows how beautiful each human life is. I have enjoyed reading about the different cultures and what being human to other people means. I enjoyed reading the different stories of how humans came to exist, There was one story that explained Earth came from a specific body part. As a future nurse, it will be important for me to have an open mind and learn about different cultures that I may encounter. I look forward to this.